Nineteenth-century trade cards can trace their roots to cards used by trades people especially in British cities in the late 17th and early 18th centuries. 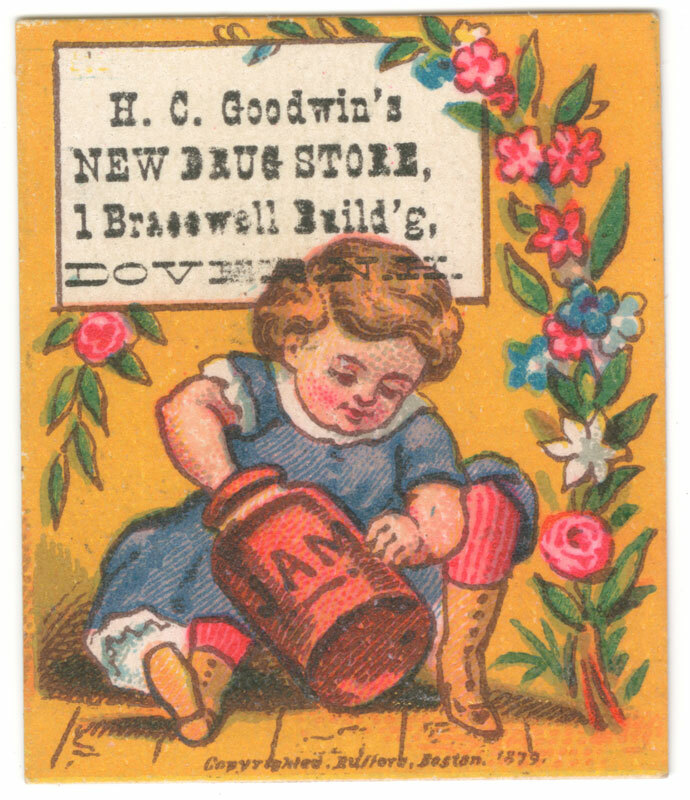 These cards – printed by engraving, woodblock, or letterpress – depicted storefronts or shop signs and made shops recognizable to customers at a time when there were no street addresses. 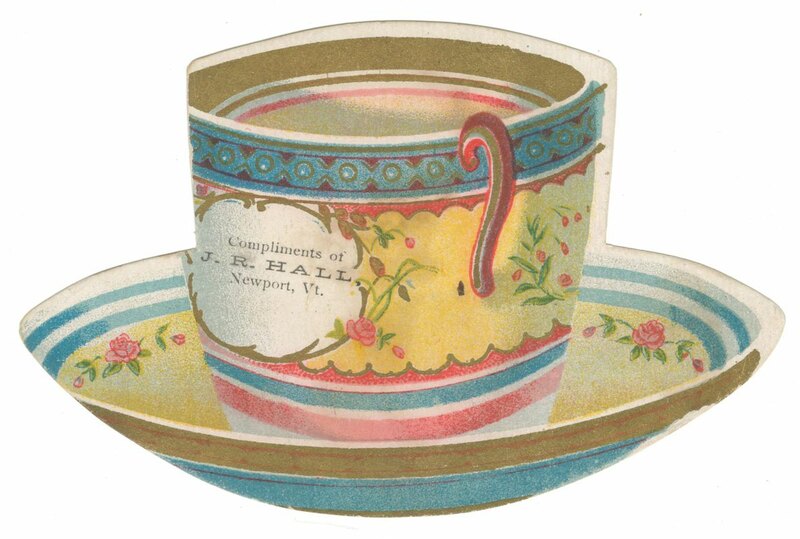 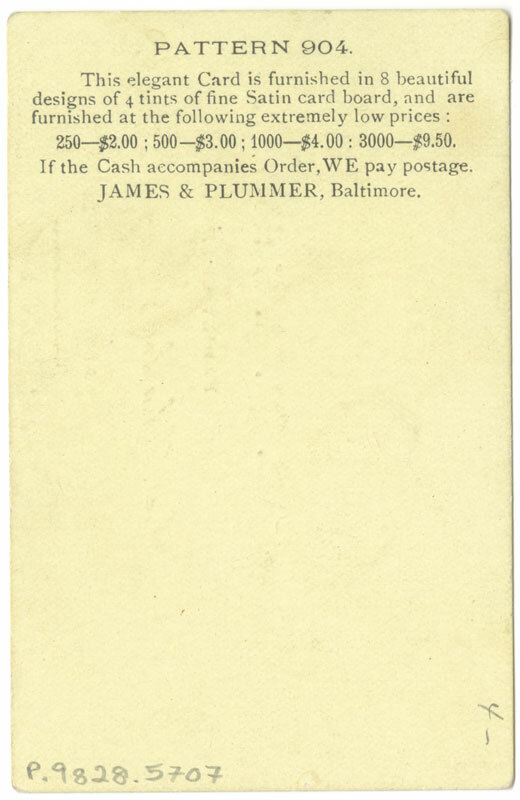 The concept of the trade card traveled with the printers and trades people as they came to the colonies from England. 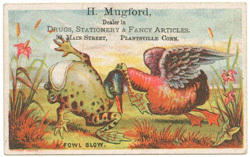 A nineteenth century trade card showing an earlier style of illustration and printing. 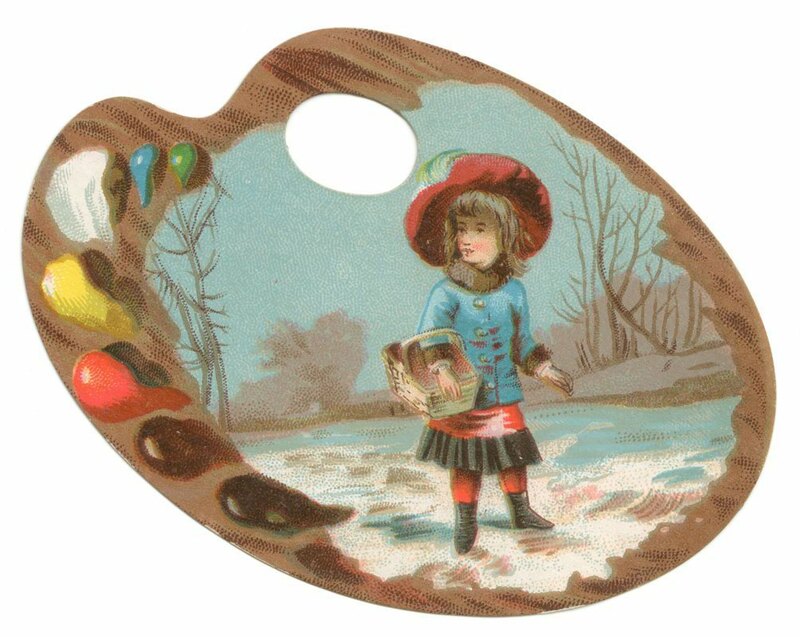 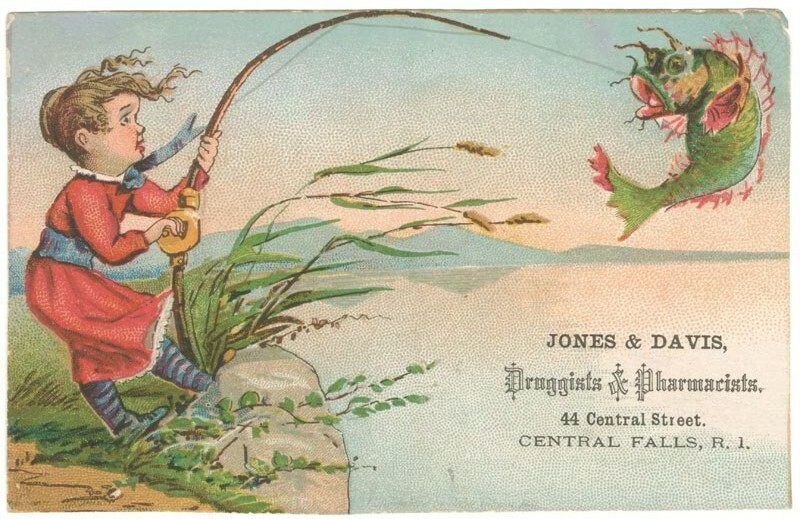 Advances in printing technology eventually led to the development of color lithography, which allowed trade cards to be printed in full color with a level of photographic realism unrivalled by other printing methods. 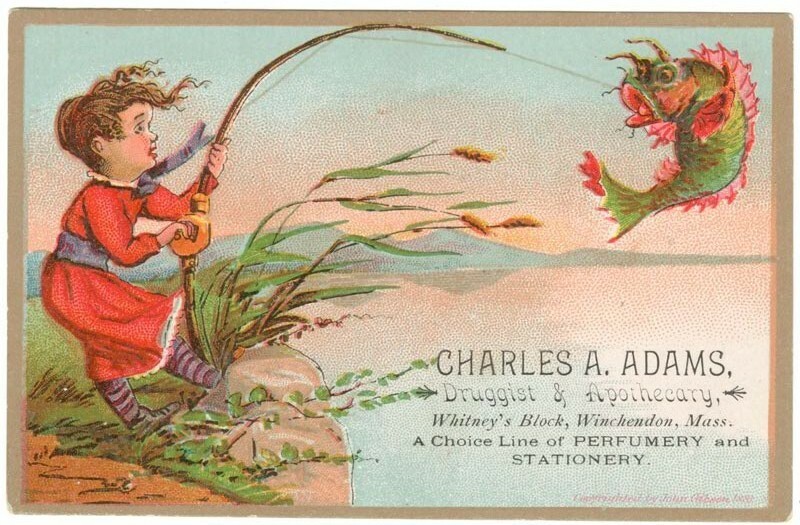 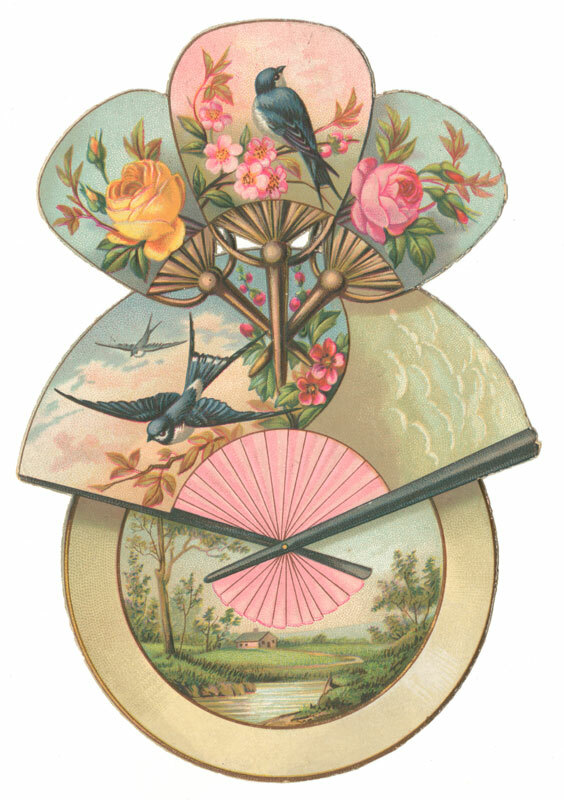 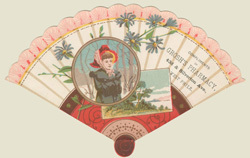 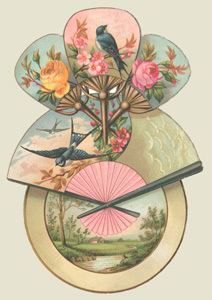 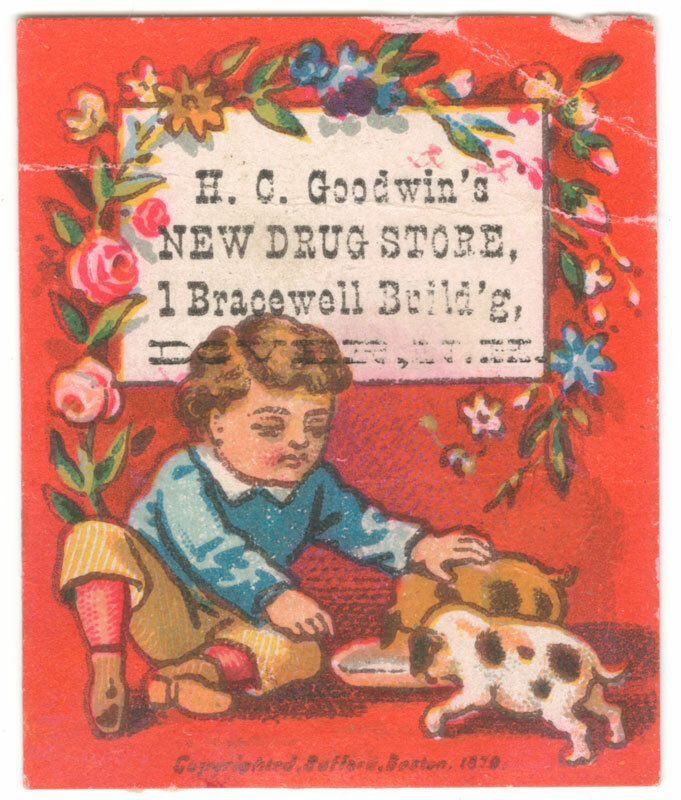 Trade cards became a visually attractive and affordable form of advertising. Printers offered cards in a variety of sizes and shapes. Potential advertisers could choose stock images as illustrations, or unique designs could be developed for an additional cost. 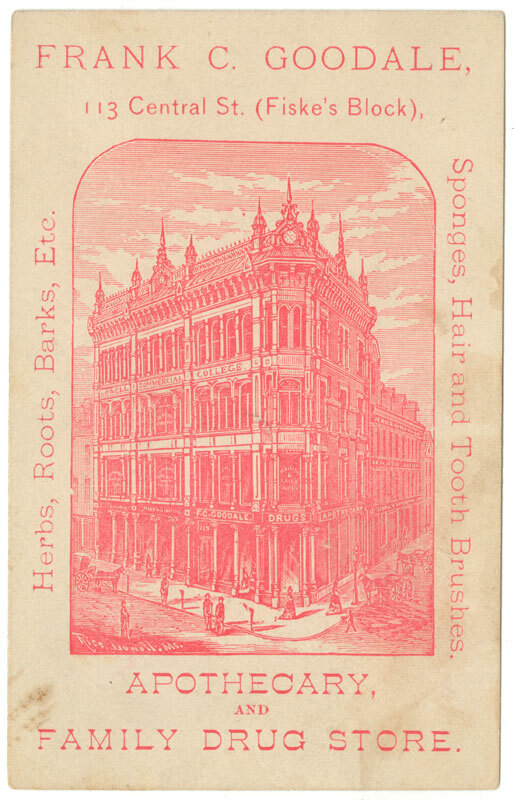 The subject matter on the cards moved beyond simply depicting shop exteriors or signs and began featuring creative interpretations of products as well as a variety of scenes and decorative motifs. 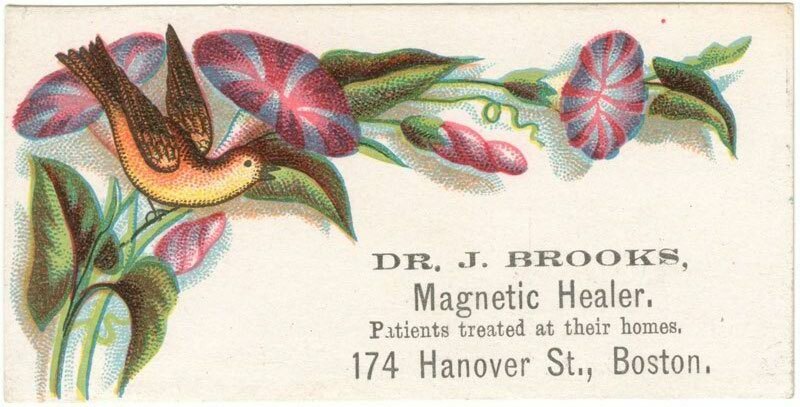 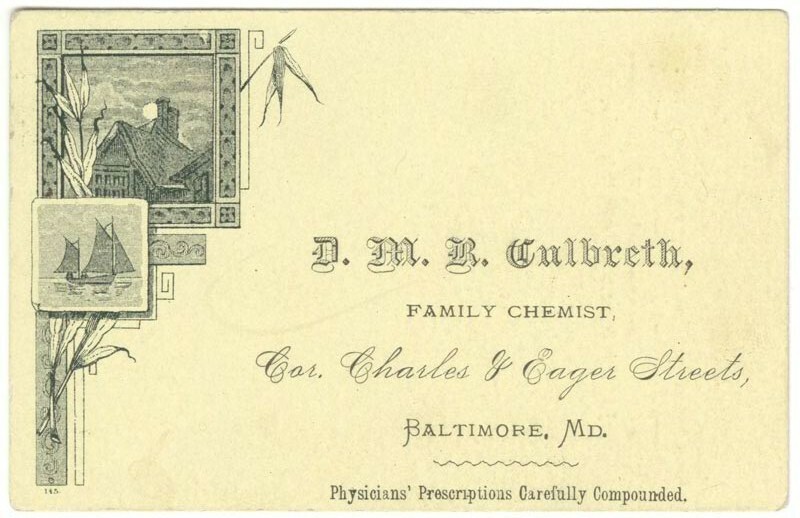 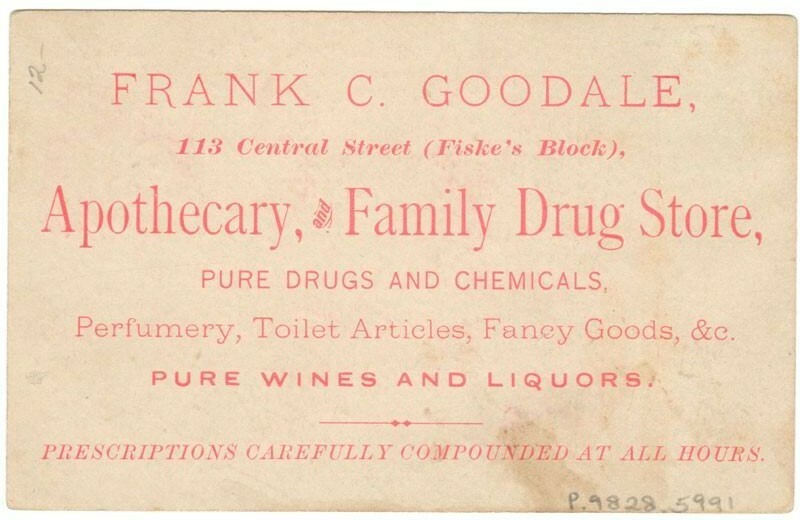 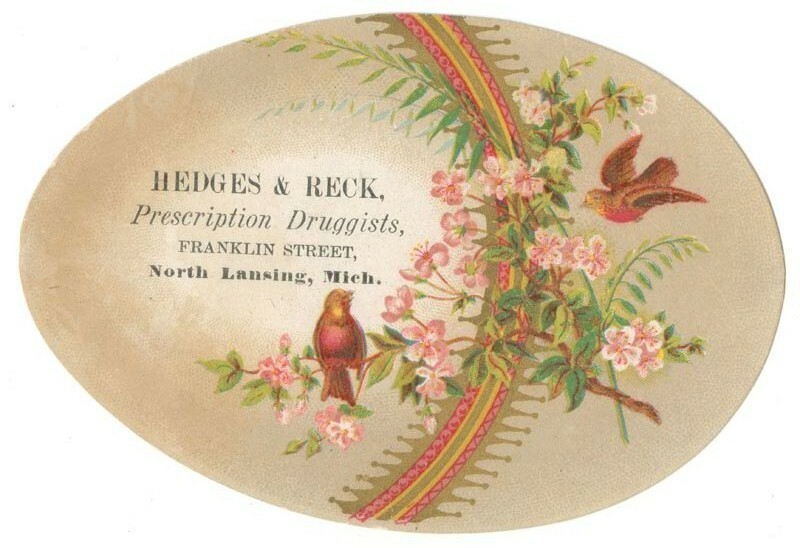 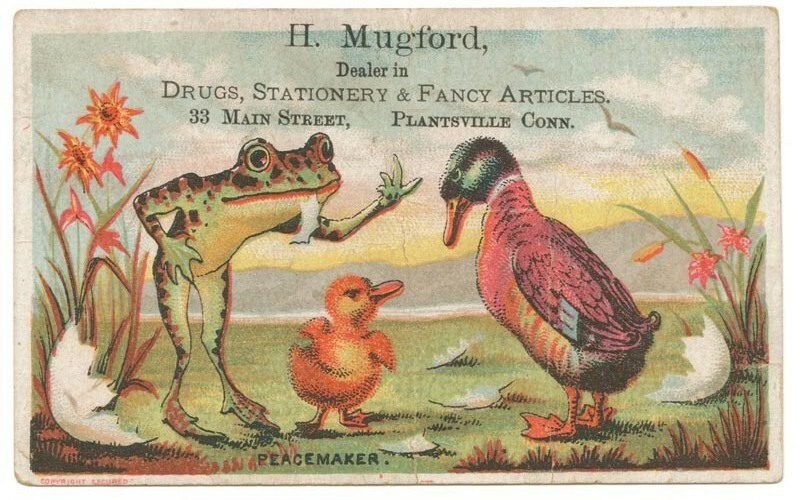 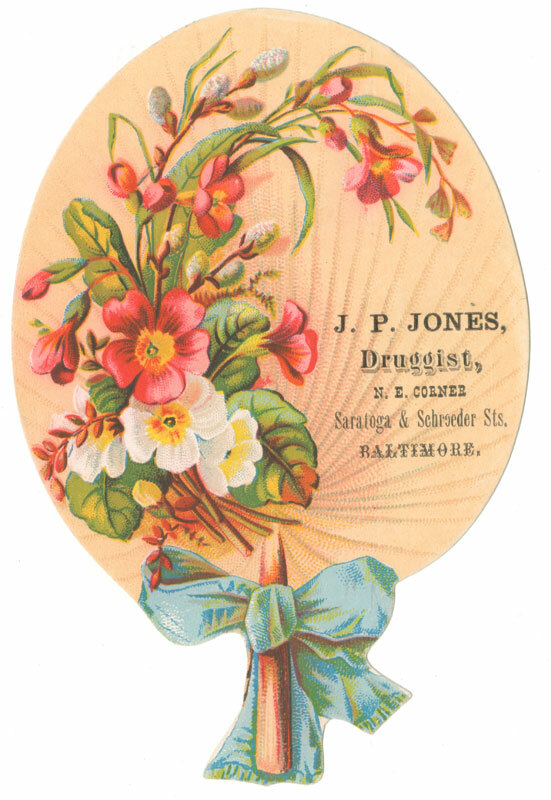 As the preparation and distribution of medical drugs became a more and more lucrative business, trade cards served as an important way for pharmacy owners to differentiate themselves from their competitors. 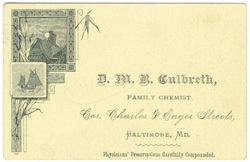 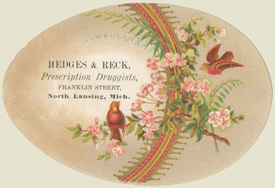 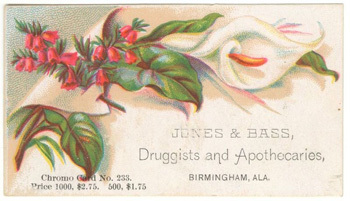 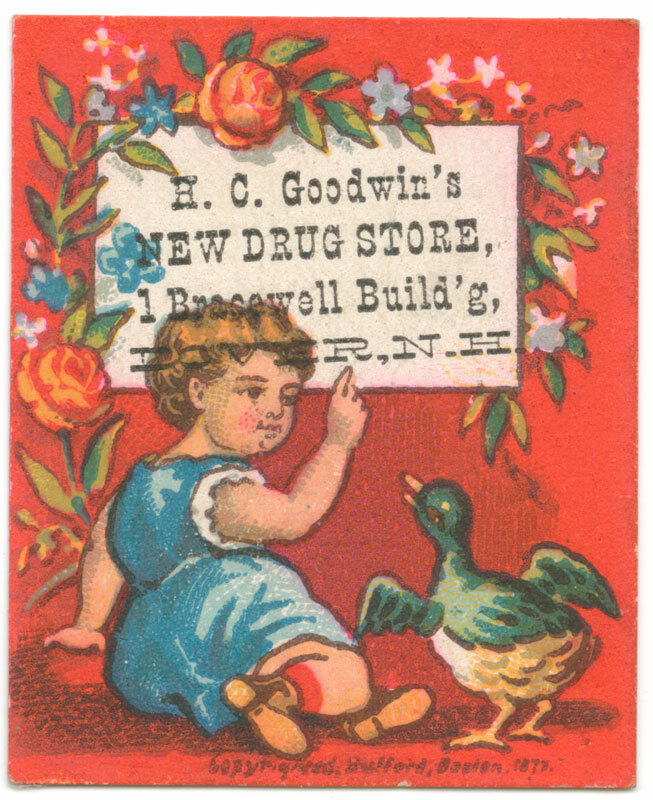 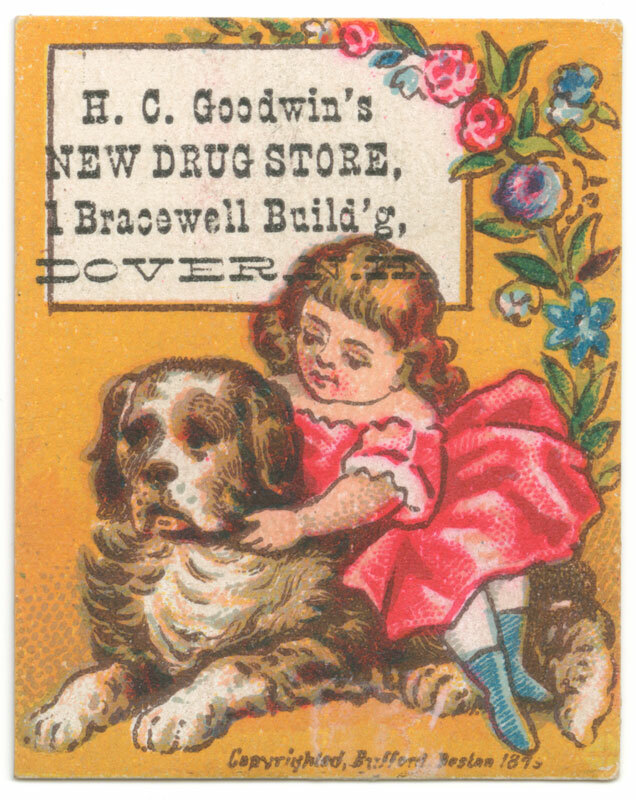 An example of the same trade card "stock" image used by two different pharmacists. 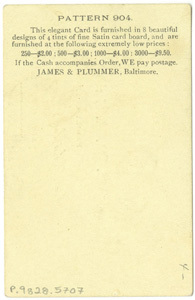 Cards (above and below) showing the prices for printing. Cards (below) were cut into various shapes as well as the standard rectangle. 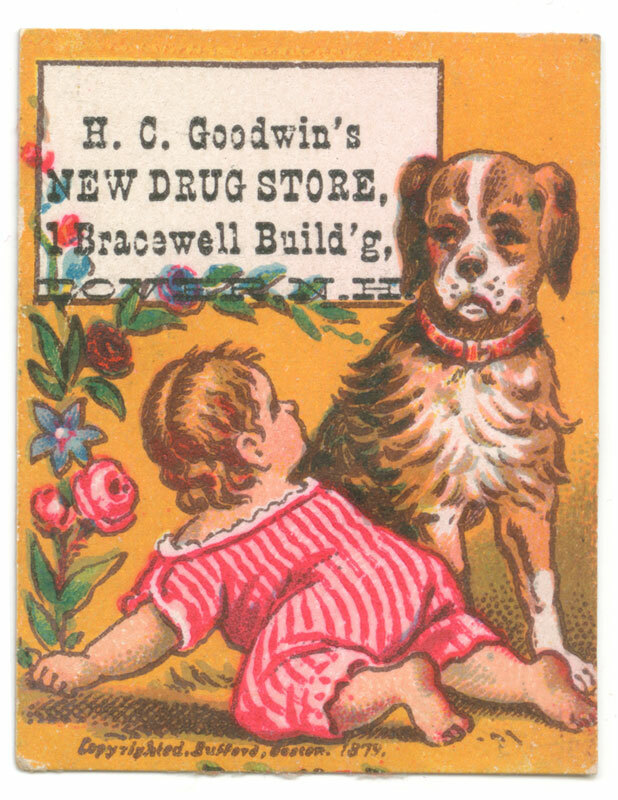 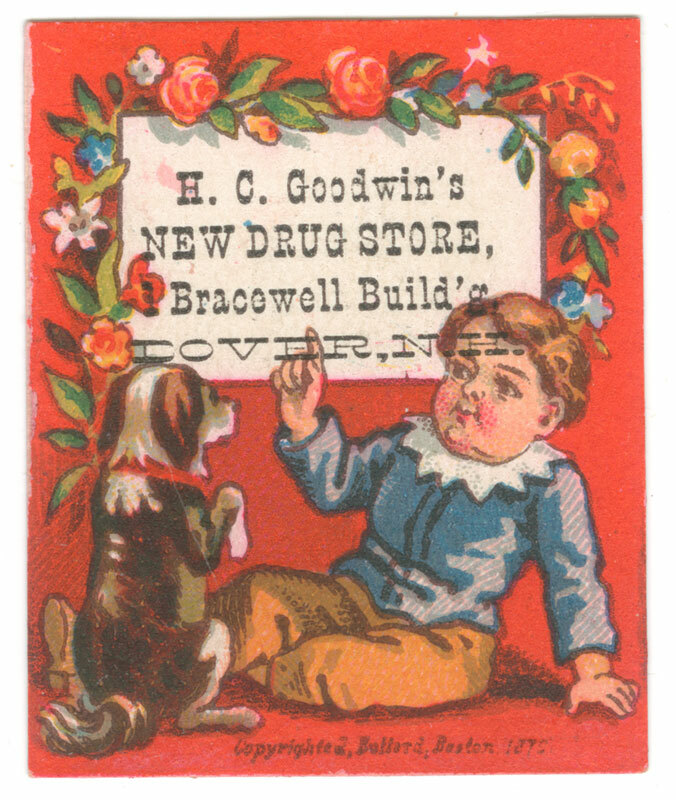 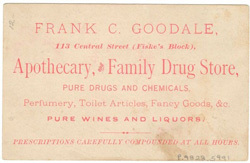 One series of cards (below) offered by H.C. Goodwin's New Drug Store. The originals measure approximately one inch by one inch.